nutritional needs. 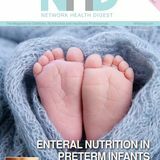 For example, texturemodified supplements (such as prethickened liquids or pudding-texture supplements) are available for patients with dysphagia, whilst semi-elemental sip feeds are available for patients with malabsorption/maldigestion. There is a huge variety of options available, with a choice of different energy and protein densities, flavours and volumes. However, they are only effective if they are consumed. 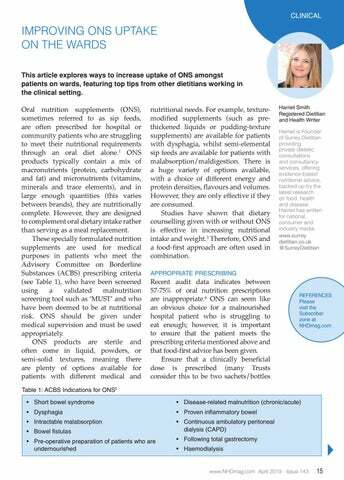 Studies have shown that dietary counselling given with or without ONS is effective in increasing nutritional intake and weight.3 Therefore, ONS and a food-first approach are often used in combination. Offer a variety of flavours and always ask the patient if they have a preference regarding milkbased or juice-based supplements.